Private label rights are hot these days. That’s why we have a guest post about the topic today. In general, private label rights -or PLR- grant the distribution rights of documents where you are allowed to treat them as your own. Mind you, restrictions may apply, but basically that’s what they are. Nicole Miller knows a lot about private label rights and that’s why her post is published today. I let her do the talking. In this article, we introduce what we call, “Solution Marketing,” and then we describe a world without PLR. In the latter, we paint a picture of the difficulties encountered without access to the obvious benefits of this new medium. They say you can’t prove a positive with a negative – but we believe that after reviewing the negative aspects of a PLR-void environment, you’ll quickly come to appreciate the positive aspects that private label rights has to offer! In just a few moments, you’re going to see how solution marketing plays an important role for an example auto mechanics shop. But for now, “solution marketing” is a term we use to describe problem solving – from a business perspective. When we’re faced with problems in business, we want the solutions to those problems addressed in a way that’s effective, marketable, and ultimately profitable. PLR is an example of solution marketing because it solves problems. It solves the problem of limited time by providing pre-made products. It solves the problem of limited money because it’s a cost-effective alternative to hiring full-time writers, designers, or programmers. It solves the problem of limited energy because other people do the work. And it solves the problem of limited resources because there are literally hundreds of PLR content outlets to work from. It’s not just a new buzzword. In our view, solution marketing is a solid answer to a problem that can be applied with little planning, little funds, and little knowledge. To reiterate why PLR is such a strong, viable option for quickly building a successful venture, imagine for a moment – a world without private label rights. In a single instant, we would be faced with enormous production costs and reduced time to put production into a profitable perspective. Problem 1: No one in our mechanics shop is a writer. “Charles” is a transmission specialist, “Alan” is a brakes expert, “Derrick” is our in-house detailer and “Alicia” is our secretary/cashier. Our only experience with writing is limited to filling out order forms! In a world without PLR, one of us is going to have to bite the bullet and write the articles for our website. And since none of us have experience doing this sort of thing, chances are the articles aren’t going to be very good. Problem 3: We don’t have the time or money to hire a professional writer. Hiring a writer can be time consuming and costly. We would have to check references, evaluate the quality of the writers’ works, pay to have our lawyer read over the contracts, and then finally select one out of a possible hundred potential candidates! These are just a few of the issues we would have to address in a world without PLR and as you can see, they make a strong case for the “solution marketing” we described above. The good news is that we don’t live in a world without PLR and as a result, our problems above become moot. With PLR, we can simply buy a collection of auto maintenance articles, change the content a little to our liking, and then upload them to our website for our customers to enjoy. Nicole Miller writes for Currys discount codes where you can find PCworld.co.uk discount codes. 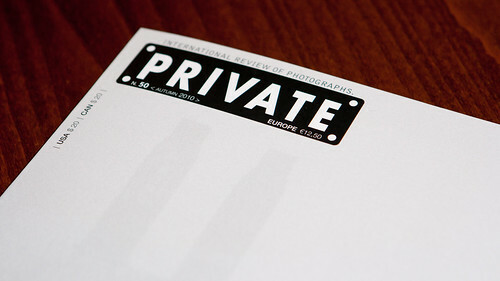 So, what’s your take on private label rights? PLR is great. And it can be used in so many different ways. I have been a member of numerous PLR memberships for quite a few years now and every time my membership renewals comes up I don’t even hesitate about renewing them. The trick is though, as you mentioned, change the content a little to make unique. Private lable rights has to be one of the most exciting ways for the internet marketer to make money. It’s so simple now to create a website to market other people’s products. Usually any product can be drop shipped. Better yet, informational products that get sent as a PDF. Thank you! I’ve been having trouble because when I tell people I write PLR, they often ask “What good is that?” Even though I try to explain what it is and why it can be a great thing, they don’t get it. This analogy might make it easier to explain. I think the main trick with PLR is just to be sure that you’re choosing content that is high-quality. Crummy PLR isn’t going to help your site, and there is a lot of low-quality stuff out there.